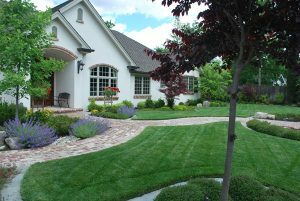 You are probably thinking that it is impossible to save water while working outside in your yard. After all, your beautiful garden and plants need water to live and grow. It might sound crazy, but there are steps you can take that will save water while also saving you money on your water bill. At Breedlove Dobbs, we love sharing money saving tips with you in any way we can. Whether it is saving money on the heating bill or your water bill, any energy saving tips will help you in the long run. Saving water in your garden is no different. By gardening with less water, you will save $30 to $70 off the average annual household water bill. Being efficient with the water in your yard will reduce outdoor water use by 20 to 50 percent. You can also save up to 10,000 gallons of water a year. The bigger the plant is, the more water it will require. It may seem obvious, but it can easy to forget. Do your research. Make sure you don’t purchase plants that will grow to be a plant that will difficult to manage. Mulch does not just cut down on irritating weeds. Surround plants with mulch is also a great way to reduce water loss. Mulches will gradually break down and work to add nutrients to the soil. Adding nutrients to the ground will help with plants grow without needing more water. For the plants that need a good amount of water, group them together in watering zones. Place the plants that need the most water close to the house. Planting them close to the house will allow the plants to drink water that runs off the roof. For other plants, place them close together in an open area where rainfall can reach them. We hope you keep these tips in mind while you’re gardening this spring. Follow Breedlove Dobbs on Facebook for more tips on making energy efficient decisions.